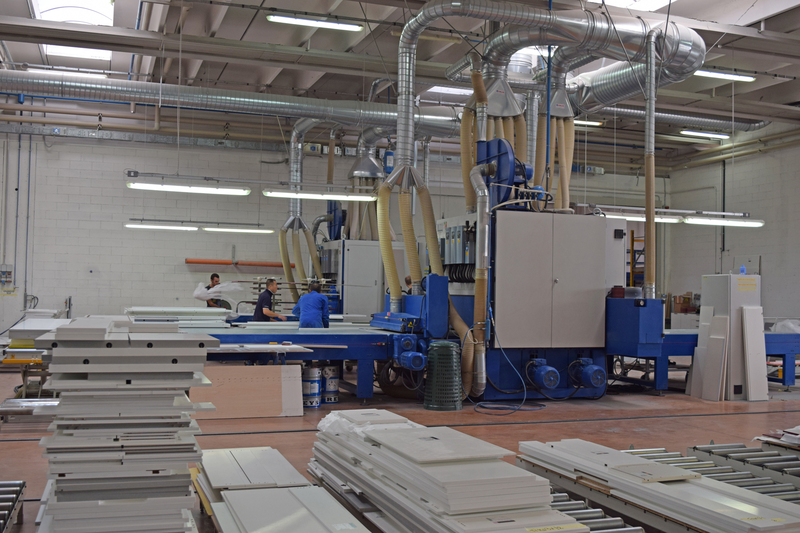 The finishing operation is one of the most critical when it comes to the quality of the final wood product. Below are some of the frequently asked questions, and their solutions, to help woodworkers achieve the best results. 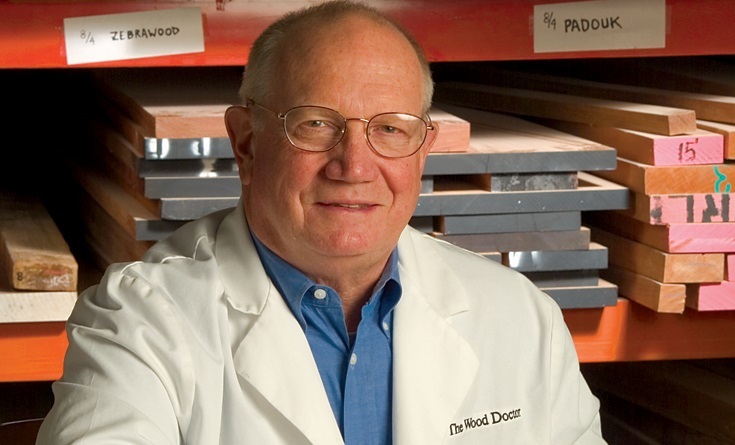 Q: I am experiencing orange peel in my finish – my finish is irregular and bumpy with craters. What’s causing this? • The coating has been applied too thick which could be due to the fluid tip and needle being too large causing an excess of material to be delivered. The material has not been properly atomized. This could be due to insufficient air pressure. The fluid pressure may also be too high, which prevents fine atomization. A special full-day session the day before IWF 2016 will explore a variety of new technologies and best methods that you can use in your business. • The spray gun is being held too close to the object being sprayed. • The weather conditions are too dry, causing the surface to dry too fast. The solution could be to use a slower reducer. Q: I can’t trigger my spray gun. Why? A: Check to see if the trigger safety is in the SAFETY position. If so, switch to the SAFETY OFF position. Another reason might be the gun housing is blocked from pumping a highly viscous material with a lot of filler that has packed behind the gun needle and won’t allow the gun needle to move. Disassemble and thoroughly clean the spray gun. Q: What’s causing me to have a top and/or bottom-heavy spray pattern? A: The horn holes may be plugged; clean the holes with a non-metallic point, such as a toothpick. There might also be an obstruction on the top or bottom of the fluid tip that needs to be cleaned. Check too to see if the cap and/or tip seat is dirty. Q: What’s causing the spray pattern of my airless gun to feather? A: Feathering, also known as tailing, is due to low fluid pressure at the tip. To avoid feathering or tailing, increase the fluid spray pressure by increasing the pressure at the pressure control knob. If the pressure control knob is turned all the way up you may have to thin the paint or reduce the length of airless hose being used. Q: Why do I get streaks in my spray pattern? A: Streaks in the spray pattern, especially heavy bands at the outside edge, are an indication of low pressure at the tip. Turn up the pressure control knob until these bands are eliminated. If the sprayer is already at maximum, you may have to use larger diameter hose or shorten the length of the hose to reduce the pressure drop. Also, make sure any paint filters in the system are clean, because there will be a pressure drop across a restricted or plugged screen. Sprayers are rated for a maximum tip size. Using a tip that is larger than the maximum size or a tip that is worn larger will cause low pressure. The tip should also be the proper size for the type of material being sprayed. Q: My spray gun is spraying heavy to one side of the pattern. What’s causing this and how can I fix it? A: Rotate the air cap 180 degrees and spray a test pattern to determine if the heaviness is associated with the air cap. Dried paint or debris also may be in the fluid tip; if so, clean or replace tip. It could also be the fluid needle has dried paint or debris or the needle is bent; clean or replace the fluid needle. Q: How does tip wear affect my setup? A: It causes the flow rate to increase. As the tip wears, the physical opening in the tip increases. An increase from 0.015 to 0.017 inch may result in a 33 percent increase in flow rates. Pattern size also decreases. The tip will wear out in the top and bottom portions of the tip opening. This will result in a smaller pattern size, which will continue to decrease as the tip wears. Q: Why is my gun releasing a small stream of paint after I release the trigger? A: The problem is that the needle is not seating properly in the seat. You will need to either purchase a kit for the gun needle and seat or you may only need to clean the needle and seat assembly. Residue or debris also may cause the needle to move off to the side before seating. Tip extensions, extension poles and tip filters can also cause spitting or a stream of fluid after the gun is released due to decompression of the paint trapped between the gun and the tip. Fluid pressure dissipating through the tip causes this spitting or paint stream. An automatic shut-off valve will prevent this problem. Q: What is the difference between conventional, HVLP, turbine HVLP and trans-tech (LVMP) technologies? A: Conventional: Conventional spray guns typically operate at pressures of 40-60 PSI out of the air cap. Atomization is typically better than HVLP and slightly better than Trans-Tech. It is common for the transfer efficiency to be 50% or less. HVLP (High Volume Low Pressure): These guns are considered to be 65 percent efficient or better and are compliant with the California South Coast Air Quality Management District. The high volume of air exiting the air cap is what helps to atomize the material. The pressure of the air exiting the air cap is 10 PSI or less. Turbine HVLP: Much the same characteristics as HVLP except that the air source is a turbine. Turbine HVLP guns have the advantage of being more portable than HVLP guns but have the drawback of a large diameter air hose from the turbine to the handle of the gun. 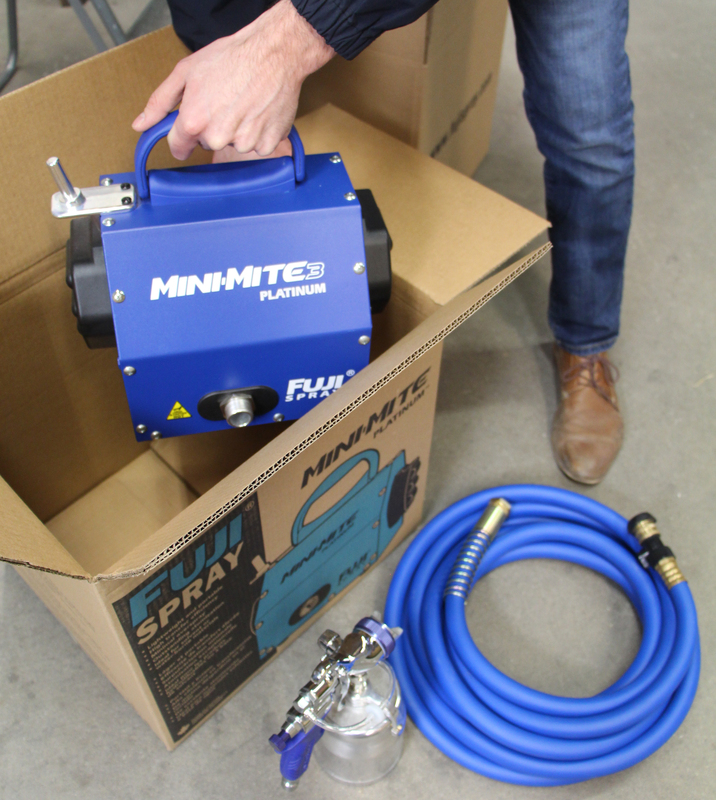 The large diameter hose substantially hinders the movement of the spray gun. 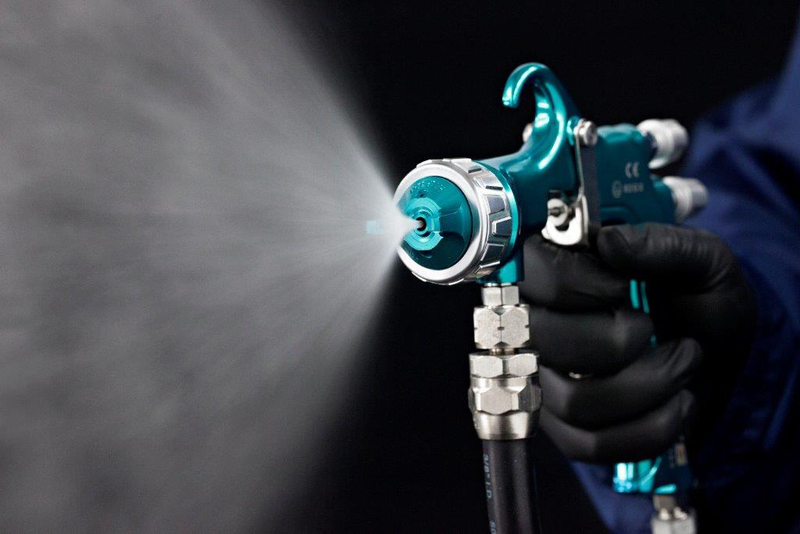 Trans-Tech (LVMP): Trans-Tech spray guns operate on low volume, medium pressures, typically 10-20 PSI; transfer efficiencies are typically about 60 percent or better. Trans-tech technology approaches the finish quality of a conventional spray gun at near the efficiency of HVLP. Trans-Tech is used where compliance is not required but cost savings is important. Source: Carlisle Fluid Technologies - manufacturer of DeVilbiss, Ransburg, BGK and Binks. For information, visit finishingbrands.com, devilbiss.com, ransburg.com, bgk.com and binks.com.